Classic Park is an initiative of the Van Dijke family. The family has a strong interest in classic and exclusive automobiles, art and nature. The name Classic Park derives from these interests. 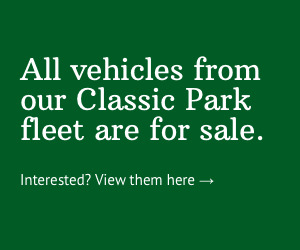 First and foremost, the name Classic Park gives meaning to their fleet of classic and exclusive automobiles. The name also high lights another interest, nature parks, such as the centuries-old green area "Het Groene Woud" (the Green Forrest) in which Classic Park is located. “Enjoy quality, it's in our nature”, Classic Park’s slogan refers to the quality of nature and also to the car enthusiasts nature to own high-quality automobiles. When visiting Classic Park you will enjoy cars and nature! Classic Park is an ideal starting point or stop-over location when making a tour in the beautiful surroundings. It makes Classic Park a solid anchorage for many classic and exclusive car enthusiasts. Exploitation of Classic Park rests on several pillars: payed visits to the museum, acquisition and sales of automobiles, corporate and public events. Classic Park features several well-equipped event and conference rooms and a charming restaurant. 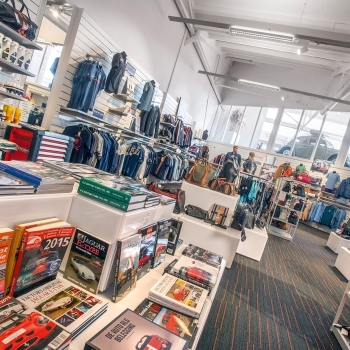 The shop and the workshop also contribute to the automotive experience. The automobiles and art in the building make Classic Park a unique place! Parking on our own 60,000 m2 premises is never a problem. Classic Park supports the CSR idea. CSR stands for Corporate Social Responsibility. CSR focusses on People, Planet and Profit. The Van Dijke family gave a severely contaminated site with a dilapidated egg selecting business a new future with the sanitation of the soil and a sustainable renovation of the existing building. After completion and construction of the new park, with 80 trees planted, Classic Park Boxtel was opened by Porsche designer Harm Lagaay, on April 16, 2014. By now, Classic Park is a well known meeting place for both business and social gatherings. Issued licenses make Classic Park suitable for large-scale indoor and outdoor events. 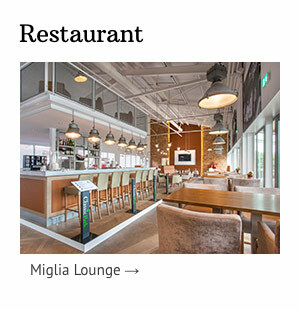 Ignition Events BV: for collaboration with external organizers of public events. Management of the companies mentioned is conducted by Renald and Sander van Dijke. 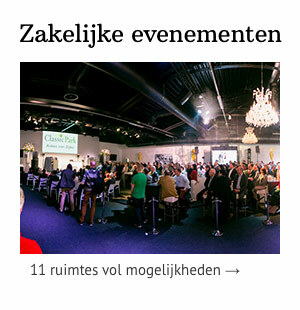 The Van Dijke family is looking forward to welcome you at Classic Park, for business and private! Photo above: Renald, Anton and Sander van Dijke with Anton’s Rolls-Royce Phantom II in 2013, before renovation of the building.